Gamo Whisper X is a mid-range classy air-gun which has hit our markets, big time. Before Gamo, there was only Diana air guns in Pakistan. While there is no doubt about the quality of Diana air guns Gamo is an inexpensive alternative for gun enthusiasts, specially in Pakistan. I have seen a number of Gamo guns, all with synthetic stocks. So its a change from the traditional Diana with wooden stocks, besides giving an impressive look. 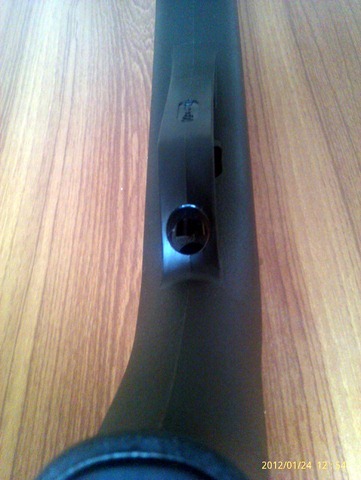 See the fiber optic front sight and noise dampener. The barrel is fluted. This means less material is used and it prevents over heating. 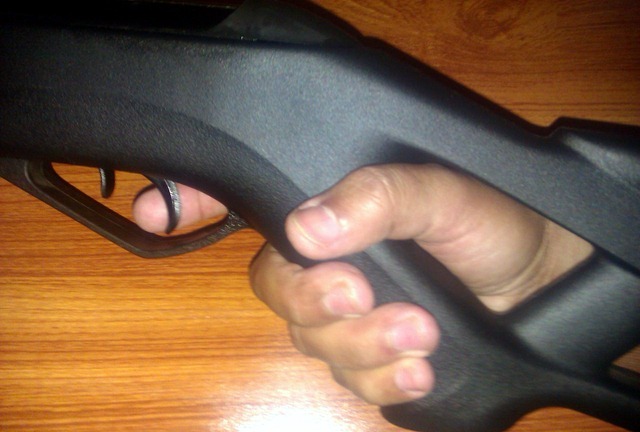 The safety is placed in front of trigger so it can be easily dis-engaged with the firing finger. 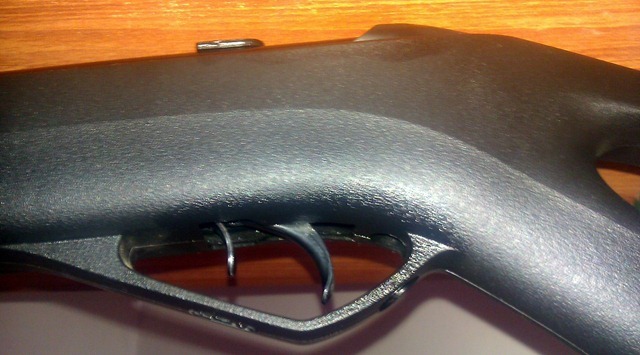 The trigger can be set to ones liking by adjusting a small screw. I like the ergonomics of this gun. It has a very natural grip. 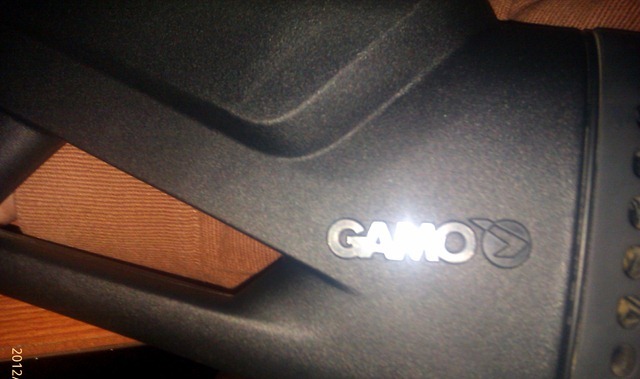 Observe the cheek rest and the Gamo logo. It comes with two extra fiber optic sights. 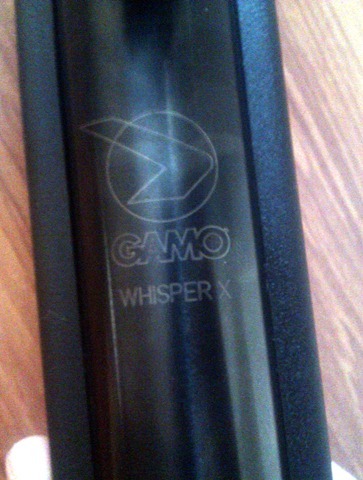 Gamo Whisper X is a break barrel rifle. I mounted a cope on it. Here’s a close up of the rifle with scope mounted on it. Gamo Whisper X, .22 Air Gun, with 2-5 x 40 Hubertus scope. 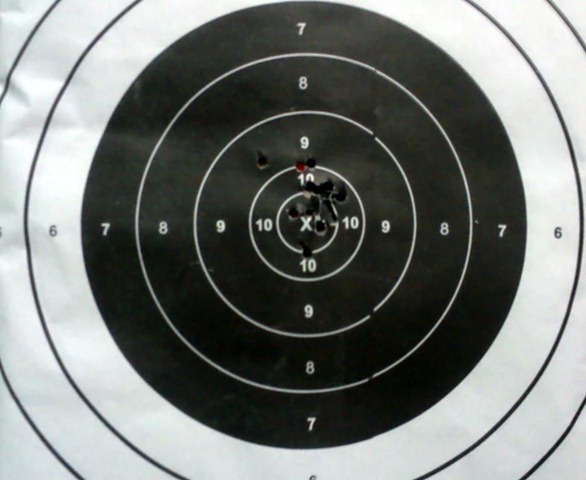 I shot this target from 25 M with a 2-5 x 40 Hubertus scope, and Gamo match pellets. Gamo Whisper X is a pretty accurate rifle. It is available in Pakistan around Rs 20,000. It is light weight and has all the features of a good rifle. I think it offers good value for money. Sir u have mentioned that gamo whisper X is available on 20,000 rupees in Pakistan. so can u please guide me that where exactly can I get it??? Its price of new air gun. 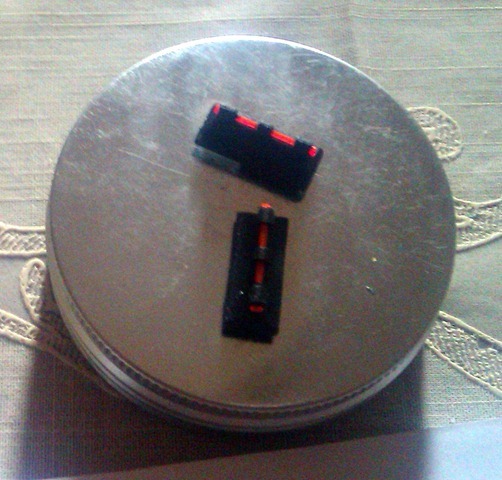 new means a brand new packed unused whisper X for 20,000 rupees. n u can txt or call on 0333xxxxxxxx. Dear Salahuddin it depends on which city you are buying it from. Rates are lowest in Peshawar, then Pindi and Lahore and finally Karachi is the most expensive. I think you should not pay more than Rs 23,000 for this rifle. thank you soooo very much for ur concern sir. I will buy it in Peshawar. a friend has his own shop in Peshawar, he told me that I will give u on 23000.
sir is it a good air rifle for hunting doves n pigeons? I m already using Gamo shadow 1000, it was great when I purchased it but after using it for 4 years now I want to update. so may I buy whisper X .22? mean will it be suitable for hunting? I think in terms of muzzle velocity it is at par with Gamo Shadow 1000. 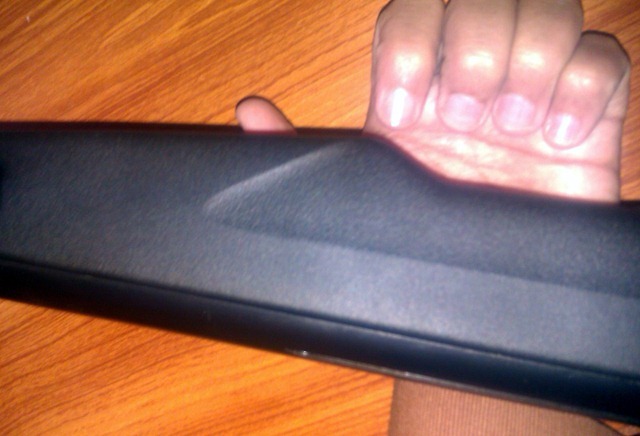 But it has a dampener and much better grip/ergonomics. I would suggest that buy its original scope if you can. It might cost you a little more say Rs 6000 but the results would be good. It is a good air rifle for hunting doves and pigeons. Sir thank you so very much for giving me time from ur busy life, Inshallah im going to buy this Air rifle, And I already have scope of Center Point, n im satisfied with it, but I will check gamo scopes too if there was any difference then I will buy that too. Brother its not for sale. I am sure oyu can buy it form Multan or Lahore. Not sure dear. Which city are you from? im asking you bcoz in different stores I got different rates.. Packed new Gamo Whisper X without scope for Rupees 23000 to 27000 in different shopes. Yes maximum Rs. 23,000 would be ok. Go for it, Gamo Whisper is a good Air Rifle. Everyone Hope that you are fine . I need expert advice that i want to but Gamo Whisper X and I am getting it for 20k in Rawalpindi. So i need to know following things I ll be great full if you ppl help me to decide should i buy it or not. 1. Range of the gun as i am confuse i have seen in a forum that Gamo Whisper X can take down a target from 80 yards. but in other forum it says that i cant only go around 45 yards. 3. I want to hunt rabbits, Pigeons and Ducks (Murgabi). Gamo Whisper is a good air gun cosnidering its specs and price range. 1. Range depends on Muzzle Velocity or simply the power. Its MV isn’t very great. Don’t expect beyond 30 – 40 yards. If you want range go for .22 LR Rifle. Air guns were never designed for long range. The highest would be a Diana Air King (If you can find one, but it is expensive 45 to 50 k or more). 2. I would recommend a Gamo scope, rather than some cheap Chinese one. 3. You can hunt pigeons and doves with it. Rabbits if you are lucky to take a head shot. But ducks , no way. 4. Go for Diana 35, or Diana Panther should cost you around Rs 30 – 35k. Dear Khurram, why don’t you place an ad some where online? Go to Neela Gumbad in Lahore. Lots of shops there, you can find one. In Peshawar as from Mazhar Alam. Don’t know about Pindi or Isloo. 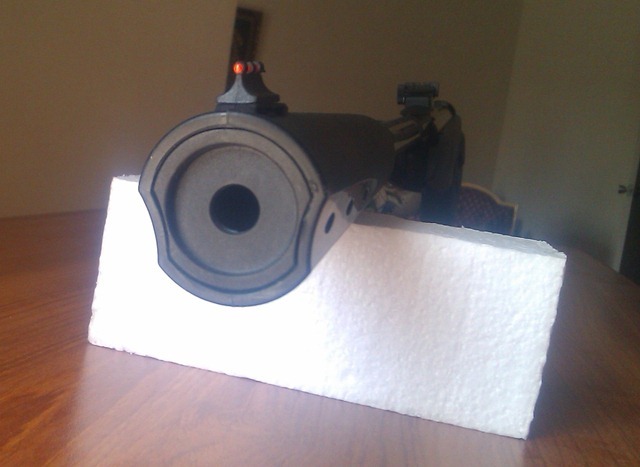 Gun is very very great.I like it very much.from where I can buy easily from pakistan.I live in gujranwala. You can check from Lahore, in Neela Gumbad there are lots of shops selling air guns. Good luck! You can buy a telescope from Lahore. I would recommend an original Bushnell or a Gamo. Do not go for cheap Chinese ones. In Lahore Buksh Elahee sells accessories for Diana. Also you can get original mounts for Diana. Good luck! helo sir,kindly ap ye bata sktay hain ke neela gumbad LAHORE main kis side pr hai.i want to buy a gamo whisper X-air gun…plz sir help me…. Please check from the shop in front of PARA in Neela Gumbad. It is run by a Pathan gentleman. Also check from National Traders in the same plaza. Get Gamo Shadow 1000 or anything similar. Another option is Diana 35.
nmafzal , brother i am new in this hobby can you please guide me. most of people there are going with gamo shadow 1000 they said 1000 is good and accurate etc. but i like Gamo Whisper X after a saw these pics NOW i want you to tell me that is there any difference between shadow and whisper except the body (design) i am asking about performance ? Zain, Whisper has a better ergonomic design and a sound dampener. Other than this there is very little difference between the two. Go for any of them. These are good guns. Thank you for the guidance. One more thing, Which is the reliable shop in Lahore to buy from ? If you mean to ask can we get it shipped to Pkaistan from US? Well the answer is NO. Why get it from US when it is available in Pakistan? If you are from Turkey you can ask a local dealer. I am not sure about gun laws in your country but air guns can also be imported. Many thanks for liking my post. I believe any pellet can be used for hunting doves, but when you want precision and “one shot kill” then always go for the best. Please read this range report on a very friendly gun forum, it highly recommends Gamo Pro Magnum. Your Gamo Shodow has to be .22, isn’t it? Nice air gun.Brother do we need to get a licence for these airguns in Pakistan?What’s the max. caliber that i can own with out bothering about a licence.? Thanks. You do not need a license for Air guns. Air guns are available in .177 and .22 caliber, in Pakistan. But .22 is more popular. You will require a license for any forearm though, but not air guns. sir where can i buy this air gun in Lahore????? plz tell me about its dealers in Lahore. or ya gun hunting k lya kase ha????? Please check at Neela Gumbad. If you can find PARA Arms, there are shops in that same PLaza selling Gamo Air Guns. If you have 30k, I would say add 5k more and go for Diana 35. Otherwise Gamo Whisper is a good gun. Also you can get Gamo Shadow 100 for around 18k. sir kia Diana 35 behtr he Gamo whisper sy ………?? Yes Diana is better in quality. Also it will last longer. But Gamo is a good air gun. If you are on a budget go for Gamo. I have been using it for last two years. AoA nmAfzal sab Gamo whisper X ki shoot range kitni he or ab is ki price kia hen market mein .or kia scope bi sath hoti he ! BSA mercury kesi gun he?? Gamo whisper is good for 25 to 30 M. It should available for 20 thousand, depending on where you are located. Scope you will have to buy extra. Some vendors do sell scopes also. BSA Mercury is a good gun. sir kia BSA Mercury gun Gamo whisper x sy behtr he ??? or market mein BSA Mercury ka rate kia he ? Sir it would be much appreciated if you could shed some light on the carrying or movement of air rifles within the country. For example what are my rights being an owner and in possession of an air rifle lets say with me in my car and being stopped at a check point or something. (I live in Islamabad). Also do i need a hunting license to hunt with my air rifle? In Pakistan you do not need any license for an Air Gun. But with hindsight I say it is better not to carry an air gun in your car openly. I mean you can place it in the boot or even under the seat. Some air guns are now shaped like automatic weapons or even sniper rifles, so why take a risk. I don’t think you need a hunting license for Air gun. I haven’t heard of one. sir original gamo whisper x ke pehchan kiya he ?? ajkal market mein gamo ki copy boht aa rahi hen…. Dear, I am not sure about any fake Gamo. If you have seen any please share details. Normally Gamo has a small user manual inside it. The packing is a card board box. 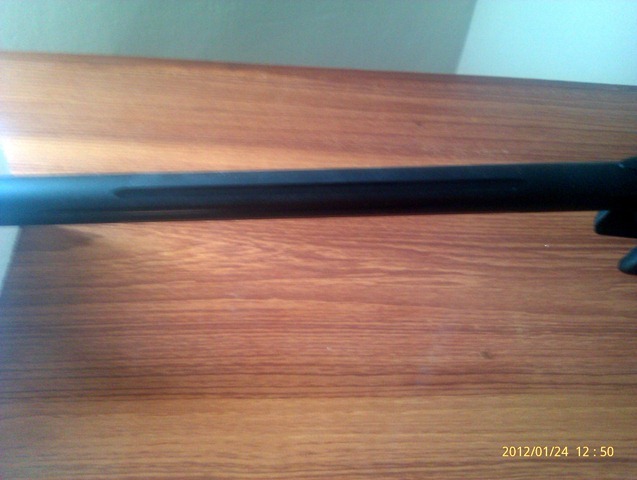 Other than this it is a good quality gun which I think local craftsmen cannot make. Also it is a synthetic stock, which local gun makers cannot make. Dear M Afzal Bro u have spare front sights with airgun i am interested to bought one of them can u sell it to me please.. i am in lahore or ship it to lahore…that will be great pleasure for me. Would you please tell us if we can buy any PCP guns in Pakistan and if avaiable somewhere than for how much? If you are just by any chance unable to assist on this topic than please refer to any other forum/person in Pakistan. minimum I am expecting for an air ranger is at least 60k. All suggestions and criticism are welcomed. 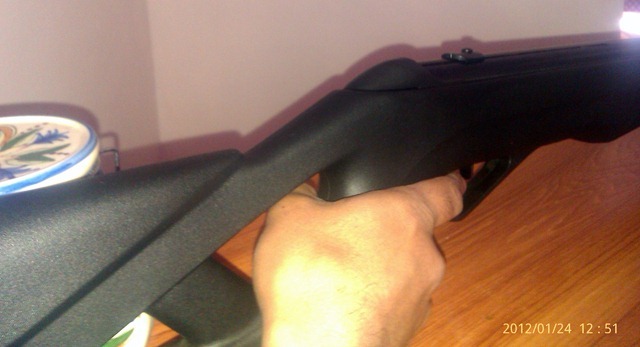 PCP air rifles are available in Pakistan, but not so common. Where exactly are you located? And if I may suggest why don’t you join http://www.thegunforum.net/ and post a question there? You are likely to find someone with an answer. Nmafzal bhai jaan please mujhay lahore k kareeb rabbit hunting k liye koi place btaein. Thanks very much nmafzal bhai or please hunting license k baray mein bta dein kidhar say banta hei or kitnay pessay lagtay hein. It all depends on you. There are cheaper rifles available and then there are pricey ones. If you want a mid range go for Gamo, a better one go for Diana and cheaper one then its a Chinese. But yes if you talk about value for money then Gamo gives good value for money. Thanks nmafzal for reply,, i have decided for Gamo whiper X so i’ll go for it.. Regards. I have been using Gamo match and Diana Diabolo with good results. I think there is one more Gamo promagnum that is for hunting. nmafzal bhai please mujhay gamo blacku fusion model k baray mein btaein k gamo ka kesa model hei accuracy or performance k hisaab say? Market say kitnay mein millay gi? It is very similar to Gamo Whisper. Gamo guns have good accuracy. Its muzzle velocity is around 970 fps which is quite good. You should check the shops in Neela Gumbad, Lahore. Not sure brother. But I have seen quite a few pages on Facebook where people advertise their guns for sale. Search it out. Where can we buy this sir, please tell me? i want this urgently!! anyone?? Depending on which city you are located. Please check with arms dealers. 1. Which birds are prohibited in our region for hunting. 2. Where can I find wild hare for hunting. 3. Is there any hunters association in Lahore to join for experience sharing. There are a lot of more questions but will share with you next time. i have a gamo cfx royal. There is no best. It all depends on you. However, you can make a comparison based on muzzle velocity. If the MV is more it means the gun is more powerful and will be able to hit the target at a greater distance. I think it’s muzzle velocity is around 550 fps. You can hunt but you will have to go very close to them. slaam sir , I am from Rahim yar khan .I wanna get information about Benjamin trail NP XL 725 .25 caliber air rifle.What’s it’s price in Pakistan and where can i buy it in Rahim Yar khan or Bahawalpur or Lahore .Is that best for hunting ducks(murghabi) or teal and doves ???? i need these information cause now a days i got 2 much interested in Air rifles . Use Gamo pellets. Normally called as no 2, actually it is .22. You can hunt pigeons and does upto 30 M.
I need gamo whispr x or gamo shadow 1000 in rawalpindi . where i can find it in rawalpindi?on which rate. Salam brothers! I have done some research and find out that whisper x in .177 is 1200 fps approx and .22 is 938 fps would you give us some info on that or the velocity in Pakistan varies from gamo.com’s website thank you! Sir, I have a Diana 35 air rifle and it is going good,but it is very noisy..So would you please help me out in picking up a gun which is quite and silent and as powerful as diana 35…. I will be very thankul to you.. Actually i am so much confused.. I dont want to pay more than 30k. Thank you for reviewing it. Bought it today from Rawalpindi in 16,500 brand new. My cousin is a pro hunter his got friend in this industry he got me one in reasonable price.